When you’re creating content it can be easy to continually publish new material to fill your website with what you believe to be interesting and engaging content. However, it’s important to know if anyone actually reads that content you’re spending precious time writing. There’s not much point toiling away on content no-one wants to read, or indeed writing a modern masterpiece that no-one can find. This post will give you the basics of using Google Analytics to improve your content marketing and drive your strategy forwards. Google Analytics is one of the most widely used web metrics platforms. We use it for SEO because it’s free and very comprehensive. To the humble novice, Google Analytics can look very baffling. There is a lot of information available and it can be difficult to know what on earth you’re looking at. The key is to concentrate on what it is that you’re trying to learn and then look purely at that data. The information that can be gleaned from Google Analytics can be used to see how many people look at your content, how they are coming across your posts and if they find it engaging and shareable. The data can then be used to drive your content marketing strategy. Most people will come across the content on your site through the natural listings on search engines. 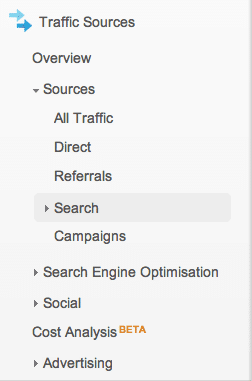 Google Analytics lets you see the organic keywords that people are using to find your site. By clicking on Traffic Sources > Sources > Search > Organic you can see a list of keywords and how many visits you received. This information can help you to learn what topics your audience are interested in and give you an indication as to what terms your site may be ranking for. This report displays the bounce rate, average number of pages viewed, and average visit duration. By identifying the keywords that bring in significant traffic you can build further content around similar topics. In case you’re not familiar with the term bounce rate I’ll explain. The higher the bounce rate, the more quickly people are leaving your site. A high bounce rate, 90% or more, means that people are not sticking around to explore your site and your page could probably do with some improvement. If the bounce rate is 40% or less, this is good. Your site visitors are interacting and clicking through onto other pages on your site. Understanding the bounce rate of various pages on your site helps you to fine-tune your content and maximise the attention that each piece of content receives. Google Analytics also displays how many page views each piece of content receives by going to Content > Site Content > All Pages. This information will teach you which content is popular and which is receiving very little attention, helping you to understand what your audience are interested in so that you can create more along the same lines. You can take a good look at the content that’s not so popular and see if there are any patterns. These insights will help to drive your content marketing strategy. The landing page report on Google Analytics (Content > Site Content > Landing Pages) allows you to see which pages visitors enter your site through, which pages are the most popular and which need a bit of work. You can then dig a little deeper to identify the keywords that convey people to those particular landing pages. To do this, simply click on a page within the report and change the Primary Dimension to ‘Keyword’. Unfortunately, or fortunately depending on your viewpoint, Google have put in measures to protect users’ privacy so if visitors to your site are logged into their Google account when they searched, the keywords they used won’t show up in Analytics. This is what all the ‘(not provided)’ stats mean. This is a bit of a pain as you’re missing quite a bit of the information needed to properly analyse traffic. If you see ‘(not set)’ that means those visitors didn’t get to the page from a search engine. The keywords to pay the most attention to are any distinct keyword phrases. Together, this keyword analysis can provide actionable insights for optimising the page you’re analysing. When you write content you usually have keywords in mind that you want to target. If visitors are not using those keywords to find your page you might need to improve your optimisation. The keyword analysis could also prompt you to stumble across negative keywords that are being used to find your page. These are terms that are not relevant to the subject of your content and you probably don’t want to receive traffic from these terms because it will negatively affect your bounce rate. Your keyword analysis will give the opportunity to review your content and make any changes you feel necessary. You may wish to revise the keywords that you wish to target or restructure your page to make it more obvious to search engines what the content is actually about. Once you’ve made any changes to your content, you’ll have to give Google time to re-index the page. After a few weeks you should be able to start seeing changes in your keyword data. Keyword analysis isn’t necessarily a one time job. You may well want to keep fine-tuning your content until you get the results that you want. To learn how engaging your content is you can look at a number of indicators. The bounce rate, as mentioned above, will show you the percentage of visitors who left the site from the same page they landed on. The average time on page, is pretty self-explanatory and a good indication of how engaging visitors found that page. If it’s only seconds, you can be quite sure that people aren’t really reading that post you made the effort to write, unless of course they’re Superman or Data from Star Trek. Another measure of engagement is social media shares. Most sites have social sharing buttons so that visitors can easily share a post they’ve enjoyed with their social networks. The social plugins report on Google Analytics (Traffic Sources > Social > Plugins) shows you how many times your content has been shared and on which platforms. Understanding the shareability of your content allows you to create more of the content that’s popular with your visitors and remove features not being used. Aside from brand awareness and customer service, one of the main reasons brands use social media is to promote content and drive traffic to your website. 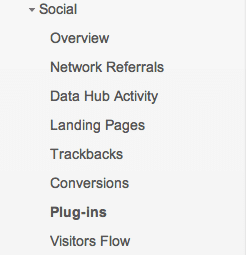 Google Analytics allows you to track each network’s performance and see how many visits each brings in. 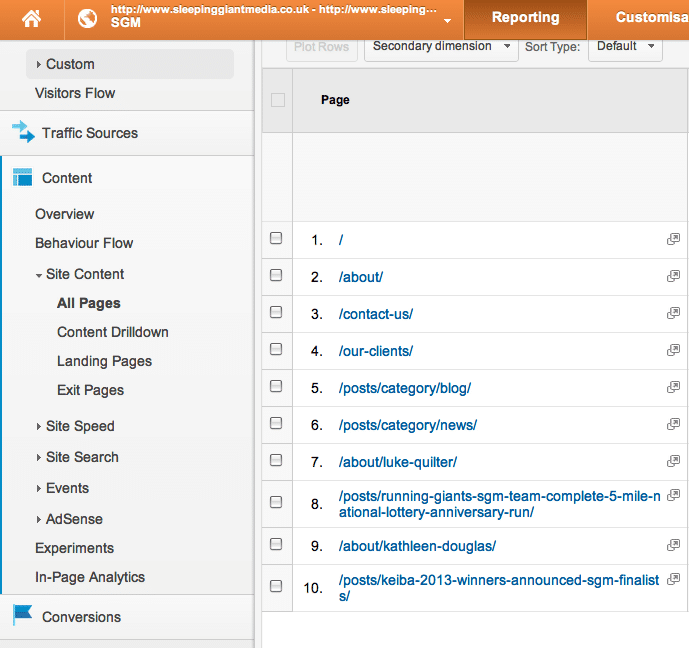 You can see this report by clicking Traffic Sources > Social > Overview. These reports give you tangible evidence of the impact that your social media campaign is having and aid the development of your social marketing strategy. There could be areas where you need to devote more attention and some that might not be worth continuing with if you see continued poor performance. the impact of your social media campaign can be measured on Google Analytics. 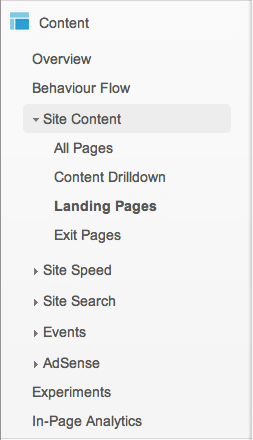 Are there any other reports in Google Analytics that you use to aid your content strategy? Do you have any questions? Please leave us a comment and share this post if you’ve found it helpful.